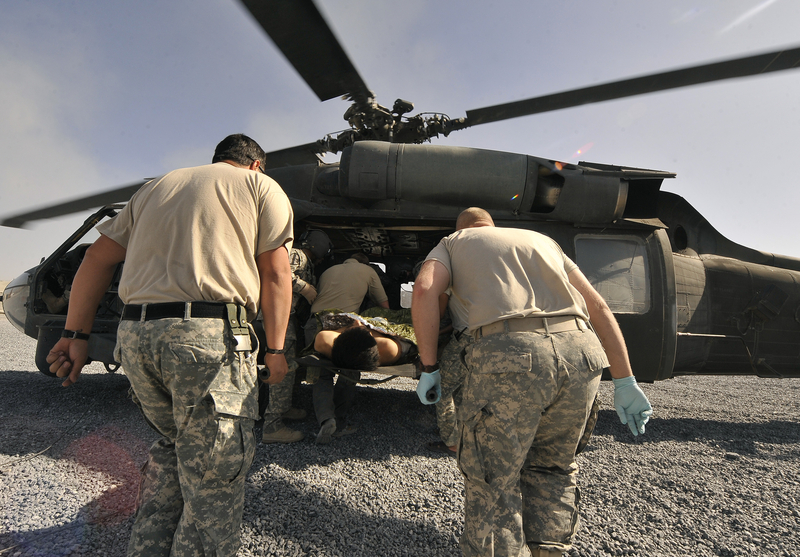 U.S. army medics carry a wounded soldier onto a waiting Black Hawk helicopter in Afghanistan. By the U.S. Department of Defense. To many, current conflicts in Iraq, Syria, Ukraine and Gaza make the world seem more violent than ever. 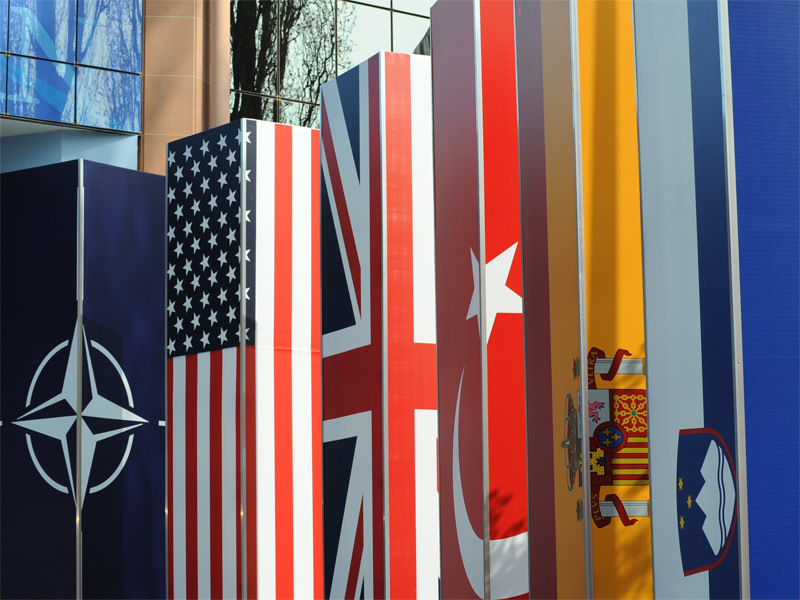 Proponents of the “declinist theory of war” such as Stephen Pinker and Joshua Goldstein, argue the opposite – that the world is currently enjoying a time of unprecedented relative peace. My new article in International Security may help reconcile these views. The claim that war is on the decline is based primarily on a decline in battle deaths, particularly since 1946. Over this same time period, however, there have been dramatic improvements in medical care in conflict zones. War has become less fatal, but this does not necessarily mean it has become less frequent. I identify four changes in medical care in conflict zones, all of which increase the odds of survival compared to the past. First, advances in preventive care – from today’s widespread childhood immunizations to better field sanitation – improve the baseline health of combatants. Healthier soldiers are less likely to succumb to disease (and disease, historically, can deplete military forces such that it turns the tide of battle), more likely to survive any wounds sustained and, even, less likely to sustain certain wounds in the first place. Second, battlefield medicine itself has improved via the availability of anesthetics and antibiotics, which make for more effective surgeries as well as a greater likelihood of avoiding or surviving post-operative infections. Similarly, the return of the tourniquet as part of a general focus on hemostatics appears to have dramatically reduced the percentage of soldiers dying from preventable blood loss. Third, military evacuation practices have gone from soldiers laying on the ground for weeks waiting for transport by stretchers to mechanized ambulances to medevac helicopters. States invest heavily in military transport for this purpose today; NGOs like the ICRC, however, were at the vanguard of this particular shift. Fourth, soldiers today often wear personal protective equipment (PPE) that shields their heads and trunks – the parts of the body most vulnerable to fatal wounds. To put some numbers to these changes, consider that historically, the ratio of those wounded to those killed in battle has been 3:1. Today, for countries such as the US, that ratio is closer to 10:1. One limitation of this argument is that medical advances are enjoyed by the developed world much more so than by the developing world. This caveat is an important one because most wars today are civil wars, and most civil wars occur in the developing world. But even in this relatively unfavorable context, we observe improvements in medical care, with foreign aid-sponsored immunization programs, delivery of care and evacuation by NGOs such as the ICRC and MSF, and even the limited use of protective equipment by groups such as the Free Syrian Army. These medical advances have several implications for scholarship and policy. Major academic datasets on war and armed conflict typically use a battle death threshold to determine which cases count as wars/armed conflict. This battle death threshold is constant over the time period covered by these datasets. But a conflict that produced 1,000 battle deaths in 1820 will likely produce many fewer overall casualties (where casualties, properly understood, include the dead and wounded) than a conflict with 1,000 battle deaths today. In other words, the events scholars (including this one) are comparing may not be as similar as we think they are. Improvements in medical care in conflict zones also hold important implications for policy. While the recent VA scandal was surely driven by an aging population of Korean and Vietnam War veterans, it seems at least possible that pressure on the VA system also emerged from unexpectedly large numbers of returned wounded coming home with a new set of injuries and illnesses. The widespread use of personal protective equipment in the US military, for example, has saved many lives, but surviving soldiers are more likely to come home with traumatic brain injuries, severe facial disfigurement, or as amputees. More broadly, our thinking about casualties and the costs of war has tended to focus on the dead rather than the wounded, while the wounded are growing in number. Medical advances in conflict zones are a positive development, but one that will not be fully realized until we recognize that both the wounded and the dead “count” as casualties. This post originally appeared at the Monkey Cage. I don’t find you argument persuasive at best mitigating. Over the time frame of the data set you referenced the world population doubled. Secondly it is my understanding that civil wars are more violent than “conventional” wars. I’ll grant that he decline in war may not be as dramatic as the graph indicates. but you would have us a believe that there has been a 4-5 fold global increase in medical care, particularly in civil wars and not take into account dramatic global population increase?